Kalí Rodríguez-Peña is a sensational young trumpet virtuoso from Cuba. 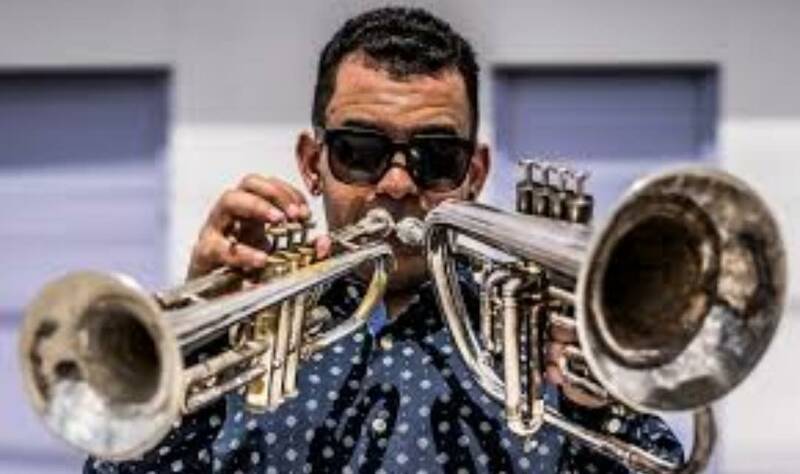 He is a thrilling young trumpeter, composer, arranger and bandleader, and considered one of the leading voices of a young generation of talented Cuban musicians. His personal style blends traditional Cuban sounds with influences from Miles Davis, Freddie Hubbard, and Wayne Shorter, as well as R&B and Hip-Hop. He has also shared the stage with Wynton Marsalis, and a plethora of other jazz greats. He will be at Black Cat all week with his band. Do not miss out on the chance to hear this bright young star in person. Book now!